Hi! 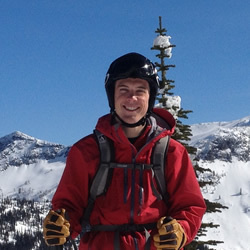 I'm Garret, a programmer and startup guy who loves to ski. This site has been my online home since 2002 when I first started learning about web development. I remember it being pretty ugly back then. My interest in programming began in 1999 after being introduced to the PC game Starsiege: Tribes, and I spent many after-school hours modifying the game and making websites for the clans I played with. They were pretty primitive and ugly too, but I had fallen in love with programming. Years later while in college at RPI I created an online calendar service (Google Calendar didn't exist yet!) which became HipCal thanks to the help of four of my fraternity brothers. It was the summer of 2005; the internet buzzed with talk of Ajax and the first Y Combinator class was getting started. We knew nothing of VCs, Silicon Valley, or SXSW - though we did win the 2006 Student category! In 2009 I gave up the free cable service and left Plaxo/Comcast with two good friends (and HipCal guys) to start HipChat, an instant messaging tool built for businesses. Name sound familiar? :) My main focus ended up being on HipChat's backend and operations, though as founders we all wore many hats. We started small and learned almost everything needed to build it as we went. The service grew steadily and in 2012 we were acquired by Atlassian where the product has thrived and is now far bigger than I ever imagined it being.